If you’re searching for things to do in Alexandria, you have plenty of options. From the many historic sites to modern wonders, the city has plenty to offer visitors. But if you’re looking to connect the old and the new, your best bet is to explore some of the options on our list of the best museums in Alexandria. Housed in a Greek Revival building built during the Antebellum period, the Athenaeum is one of the few remaining examples of this type of architecture in the city. Once used as a commissary and triage facility for Union troops during the Civil War, the building is now home to an art gallery and the Northern Virginia Fine Arts Association. Another excellent example of Greek Revival Architecture in the city, the museum catalogs the history of Alexandria, once one of the busiest seaports in America. Visitors are invited to explore the founding of the city and its long life through archaeological finds, maps, original works of art and literature, as well as a wide variety of well-preserved artifacts. Plan a trip to The Lyceum in Alexandria today! The riverside estate of America’s first president, George Washington, Mount Vernon is fully restored and open to the public. Visitors are invited to tour the grounds and explore the farm to see what day-to-day life would have looked like for an 18th-century farmer. Then, they can pay their respects at the family tomb or stop by the Orientation and Education centers to get hands-on with interactive displays, view movies, and enjoy high-tech immersive experiences that make you feel like you’re really there. The only public museum in the U.S. dedicated to the art of espionage and the only one in the world to provide a global view on a profession that’s rarely spoken of and seldom understood. View artifacts and papers never seen before, learn about infamous spies of yore, and take part in a thrilling mission that puts you in the driver’s seat. Plan your trip to the International Spy Museum today! Location: 800 F Street NW, Washington, D.C. 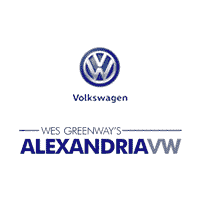 Contact an associate at Alexandria Volkswagen for more information about the latest Volkswagen models designed to make your road trip memorable, then visit our other city pages to learn about the best places to eat and experience the flavor of Alexandria. Also, check out our recommendations for great restaurants in Springfield or the best parks in Annandale, VA — not far from Alexandria!